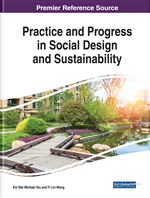 Against the backdrop of increasing recognition of the social and cultural pillar of sustainable development, this chapter advances the notion of design freedom as a conceptual and methodological tool for deepening our commitments towards participatory and emancipatory design. Drawing from Sen's development as freedom approach, design freedom is broadly defined as a process that identifies opportunities for people to ameliorate their life conditions. In addition to enabling sustainability, design freedom is also a transformative process in and of itself, expanding opportunities of all participants in the process. As such, it augments the subfield of design methods adding processual consideration to its instrumental orientation. The chapter offers an illustration of the potential of design freedom as research and action approach by presenting a case study of co-design with the Pinoleville Pomo Nation tribe in California. This design freedom project identified and fostered three key capacities for community flourishing: distributed agency, expressive materials, and effective form.